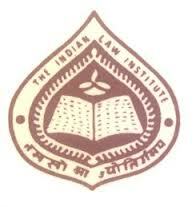 Indian Law Institute (ILI) has been the pioneer in the field of teaching and training of Intellectual Property Laws and Cyber Laws. Applications are invited from eligible candidates for admission to Online Certificate Course on Intellectual Property Rights and Cyber Laws. Anyone who is pursuing / has pursued diploma or degree after 10+2 has access to computer and Internet can apply. Payment can be made through Credit/Debit Card or through Demand Draft.